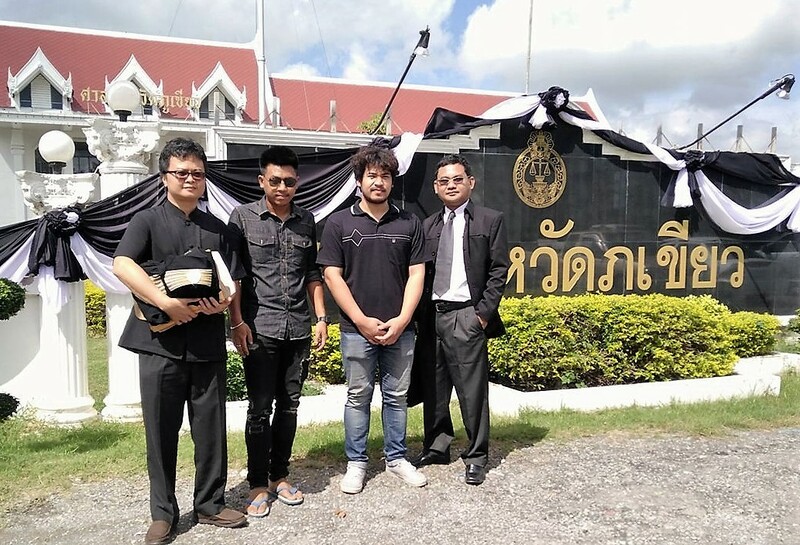 The Asian Human Rights Commission (AHRC) has received updated information regarding two student activists who have been arrested in Chaiyaphum province, north eastern Thailand, for distributing anti-constitution flyers. According to Thai Lawyers for Human Rights (TLHR), the Phu Khiao Provincial Court postponed an evidence examination session. This is due to the fact that the two students, through their legal representative, had filed a petition with the Attorney General at the Phu Khiao Provincial Prosecutors’ Office. They requested an acquittal of the case. The public prosecutor now has to wait for the Deputy Attorney General’s decision as to whether he will indict the two students or not. A rescheduled evidence examination session is to be held on 20 January 2017. On 26 October 2016, the Phu Khiao Provincial Court scheduled an evidence examination session for two defendants, Mr. Jatupat Boonphatthararaksa, aka “Pai”, a student of Khon Kaen University and a member of the New Democracy Movement (NDM), and Mr. Wasin Prommanee, aka “Palm”, a student of Suranari University. Both were charged with committing an offence against the Constitutional Referendum Act, Section 61 (1) and Section 61 paragraph 2. Both refused to give finger or foot prints in the criminal proceedings as ordered by police investigators. The public prosecutor notified the court that on 29 September 2016, the two defendants filed a petition with the Attorney General at the Phu Khiao Provincial Prosecutors’ Office, requesting an acquittal of their case. On 7 October 2016, the public prosecutor informed the Director General of Region 3 Public Prosecution regarding the petition. At the two defendants’ request, the petition- attached case file had been sent to the Deputy Attorney General, Pol. Sub. Lt. Pongniwat Yuthaphunboripahn. During the process, it is at his discretion, as to whether he will withdraw the case or not. As it is anticipated that it will take about two or three months, the public prosecutor requested the Court to postpone the evidence examination session. After hearing the public prosecutor’s statement, the two defendants gave additional statements that both of them had examinations at the end of this year. Therefore, the Court allowed and rescheduled the evidence examination session to January 20, 2017 at 2 pm. Mr. Jatupat Boonphatthararaksa and Mr. Wasin Prommanee are under trial for offences against Article 61 of the Constitution Referendum Act. This prohibits the dissemination of documents which are inconsistent with the truth or violent and inciting to the general public. On 6 August 2016, they had distributed leaflets with anti-referendum messages in the Phu Khiao market, in Chaiyapum province. The two students refused to have their finger or foot prints taken as ordered by police investigators. They insisted that their actions were legal. The inquiry official then charged them with another offence in accordance with the previous junta’s announcement of 2006. If found guilty, Mr. Jatupat Boonphatthararaksa and Mr. Wasin Prommanee can be imprisoned from one to five years and fined not exceeding 200,000 Baht (approx. USD 5,700). Please write letters to the authorities below, asking them to immediately drop the case and end any ongoing judicial harassment against the two student activists. 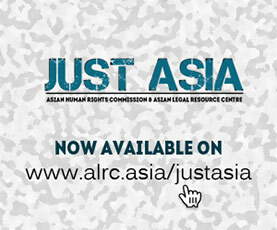 Please note that the Asian Human Rights Commission is writing a separate letter to the UN Special Rapporteur on the promotion and protection of the right to freedom of opinion expression and seeking his urgent intervention into this matter. I am writing to voice my deep concern regarding the continued judicial harassment of two student activists in Thailand. On 26 October 2016, the Phu Khiao Provincial Court scheduled an evidence examination session for two defendants, Mr. Jatupat Boonphatthararaksa, aka “Pai”, a student of Khon Kaen University and a member of the New Democracy Movement (NDM), and Mr. Wasin Prommanee, aka “Palm”, a student of Suranari University. Both were charged with committing an offence against the Constitutional Referendum Act, Section 61 (1) and Section 61 paragraph 2, They both refused to be finger or foot printed in the criminal proceedings as ordered by police investigators. On 29 September 2016, the public prosecutor notified the court that the two defendants filed a petition with the Attorney General at the Phu Khiao Provincial Prosecutors’ Office, requesting an acquittal of their case. On 7 October 2016, the public prosecutor had informed the Director General for Region 3 Public Prosecution regarding the petition. At the defendants’ request, the petition-attached case file had been sent to the Deputy Attorney General, Pol. Sub. Lt. Pongniwat Yuthaphunboripahn. During the process it is at his discretion, whether he will withdraw the case or not. As this will take about two or three months, the public prosecutor requested the Court to postpone the evidence examination session. Additional statements were made by both students that they had examinations at the end of the year. Therefore, the court allowed and rescheduled the evidence examination session to January 20, 2017 at 2 pm. It means that the two student activists still face one to five years’ imprisonment and a fine not exceeding 200,000 Baht (approx. 5,700 USD), if found guilty. I wish to point out that the two students were being prosecuted by the authorities during times of political upheaval. Their right to freedom of expression was most essential. Providing the conditions for free and open political communication was the basic element of ensuring fair and democratic referendum processes. When they outlined in their petition that their actions were legal and under national and international law, I agree with them. In addition, I believe that if the Deputy Attorney General indicts the two students, this prosecution does not serve the public’s interest. It instead harms the government’s image on their human rights record with the international community while disturbing harmony among the people. Therefore, I would like to urge the Thai Government and authorities, particularly the Attorney General’s Office, to immediately drop charges and end all acts of judicial harassment against the two student activists.